Jeffrey D. Armstrong began his tenure as Cal Poly’s ninth permanent president on Feb. 1, 2011, with a determination to enhance the university’s renowned Learn by Doing teaching approach. He brings to his role a rich blend of experience as an honored teacher, respected researcher, and experienced administrator. At Cal Poly, he has focused on ways to improve graduation rates. To further bolster student success, he has sought to expand university-industry partnerships to attract more applied research to the campus, thus increasing professional development experiences for faculty, which enriches classroom instruction. Aware Awake Alive, a national alcohol-awareness program created to educate young people on the symptoms of alcohol poisoning, create awareness on the conditions that enable it, and encourage responsibility for one another in situations where alcohol is consumed. The Business-Higher Education Forum (BHEF), a coalition of senior business and higher education executives committed to advancing innovative solutions to U.S. education and workforce challenges. 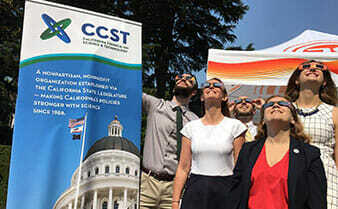 The California Council on Science and Technology, which provides expert advice to the state government on science- and technology-related policy issues. The Commission on Food, Environment & Renewable Resources for the Association of Public and Land-grant Universities (APLU). The Senior College and University Accrediting Commission for the Western Association of Schools and Colleges, one of six regional associations that accredit public and private schools, colleges, and universities in the United States. Dr. Armstrong also participates on numerous California State University (CSU) committees, including the CSU Agricultural Research Initiative, CSU Water Resources and Policy Initiatives, CSU Technology Steering Committee, and CSU Council on Ocean Affairs, Science & Technology (COAST). Before joining Cal Poly, Dr. Armstrong served as dean of the College of Agriculture and Natural Resources and professor of Animal Science at Michigan State University (MSU), beginning in 2001. He was head of the Department of Animal Sciences at Purdue University from 1997 to 2001 and served in various positions at North Carolina State University (NCSU) from 1986 through 1997. As a faculty member at NCSU, Armstrong was known for engaging students in the classroom and was awarded numerous honors for his teaching excellence. He also was named Alumni Distinguished Professor for Undergraduate Teaching. A recognized leader in nutrition and reproduction in large food animals, Dr. Armstrong has helped raise more than $9 million in grants and cooperative agreements to support research on social responsibility in the food chain. He has written or contributed to more than 45 scientific journal articles. Over his career, he has served as chairman of the United Egg Producers Animal Welfare Advisory Committee and advised McDonald’s Corp. on animal welfare and broader issues related to corporate social responsibility. He served as chairman of the Michigan Board of Agriculture Assembly Farm Bill Committee and, in 2009, contributed to significant changes in Congress’ farm legislation. Dr. Armstrong also served on the U.S. Department of Agriculture’s Agricultural Research, Extension, Education and Economics Advisory Committee and the Federal Reserve Bank of Chicago Seventh District Advisory Council. Raised on a beef cattle, swine, and tobacco farm in Western Kentucky, Dr. Armstrong attended Murray State University, where he earned a bachelor’s degree in agriculture in 1981. In 2013, he was named a Distinguished Alumnus. He earned both a master’s (1984) and doctorate (1986) in physiology from North Carolina State University. He and his wife, Sharon, have two children who currently reside in Michigan. Jessica is a resident physician in obstetrics and gynecology and is married to Dean Gibbie, an elementary school teacher. Zack is a financial advisor.